Vessel: Green reusable mouth-blown glass by European artisans. 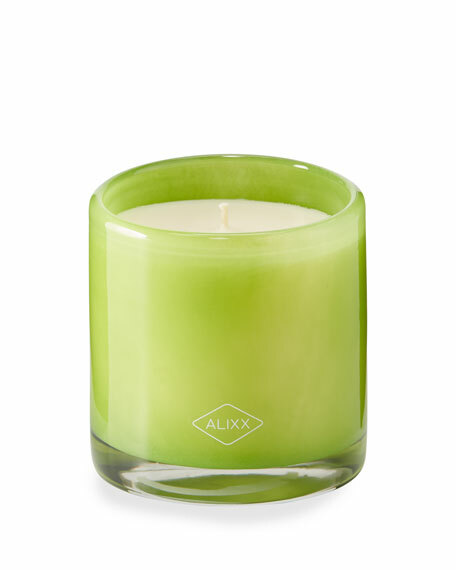 Ingredients: 15 oz./ 425 g vegetable-based wax, 1 cotton wick, premium natural fragrance created by French master perfumer. Care: Never leave a burning candle unattended; if necessary reposition wick after each use; always trim your wick to 1/4" before each lighting; do not burn for more than 4-5 hours at a time; do not put the candle on a surface sensitive to heat. For in-store inquiries, use sku #2429641.